Ever wondered what harmful chemicals surround you on a daily basis? The MyExposome silicon band can currently pick up 1,418 chemicals, so you can walk around the centre of London fearing for your health at every turn. The average city dweller in the UK is exposed to chemicals such as: phthalate chemicals- the type banned in kids toys, flame-retardants, and Galaxolide- a common substance found in your average home cleaning product. 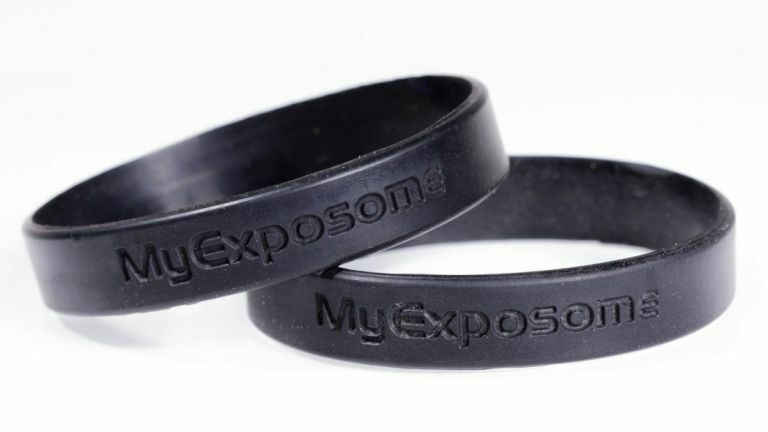 If you're lucky enough to get your hands on one of these bands, you will receive the MyExposome band in a sealed plastic bag; you write down the day you put the band on, and after a week you put the band back in a sealed bag and send it off to a lab. With the results back gasp at the list of chemicals which clog up our air on a daily basis. At the handsome price of $1,000 per band (£650), plus the fact you have to send your band to a lab makes the MyExposome a pretty wacky wearable concept. However the scope of this tech is massive. In years to come we could see wearable bands that feed details about harmful chemicals in our streets, straight back to our smartphones.